Your Intuitive Soul Session is a sacred invitation to slow down, in doing so creating space for connecting with your wise and intuitive self in order to explore and evaluate where you are now and where you'd like to travel from here. Pressing pause and gifting ourselves space for reflection can be such a tonic when finding ourselves standing at the edge - or in the middle - of the unknown. There is such joy, adventure and growth to be had when we fully embrace our human experience rather than seeking to divorce ourselves from it - my role as your reader is to support you in truly being here, right now, in body, mind, heart and spirit so that you can anchor into your path with a deeper understanding of the whys, hows and possibilities weaving their way through your journey as you travel. 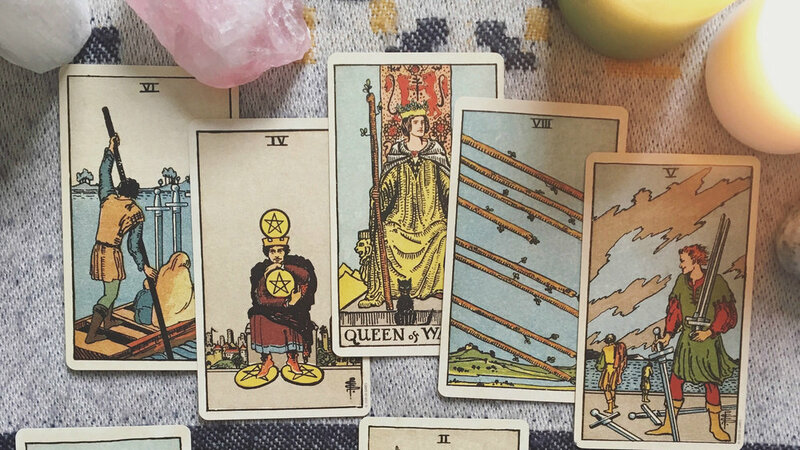 During your Intuitive Soul Session we'll blend tarot and oracle cards with intuitive channelling, exploring and untangling your thoughts and feelings, considering your options and engaging in creative problem solving - supporting you in gaining a clearer understanding of who and where you are in the present moment while planning for your future in ways that resonate. My reading style is judgement free, supportive and always encouraging, essential when exploring sensitive aspects of your life walk. If you're ready to dig deep and dive in, holding a mirror up to yourself and embracing your ability to actively shape and direct your life path, it would be a joy to sip tea and sling cards with you, sweet friend. Please ensure you’ve read through my Policies + Ethics before booking your Intuitive Soul Session. Your Intuitive Soul Session will arrive within 5-10 working days (excluding weekends) from date of purchase as a recorded video session for you to explore in your own time. Feel free to get in touch with any questions you have to prior to booking, or go right ahead and schedule your session.